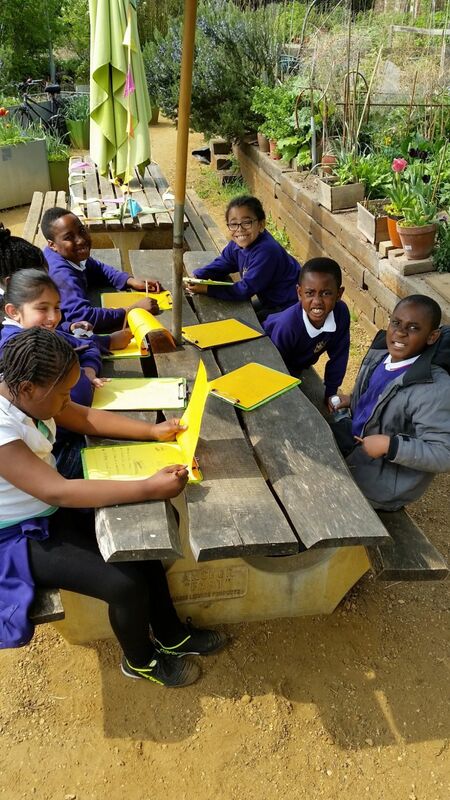 Year 4 recently took part in a workshop on the Wonderful World of Bees in King Henry's Walk Garden in Isling ton this week. 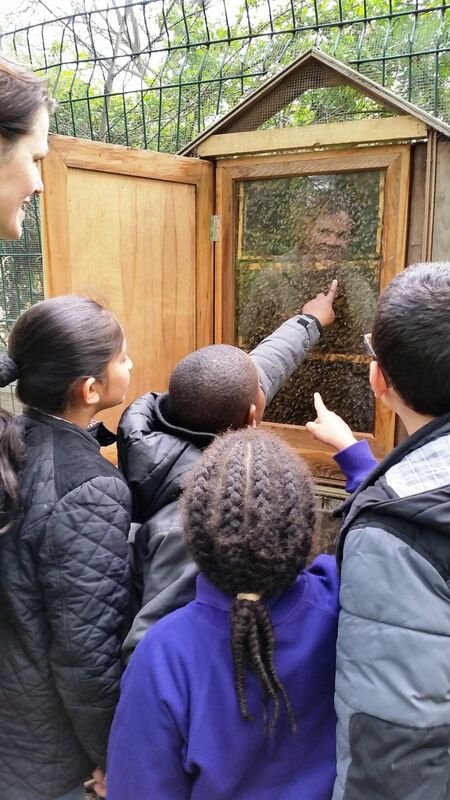 They learnt all about honey bees and why they are such an important part of our ecosystem. They went on a fact hunt around the beautiful gardens, got to try explore a beehive and made beeswax candles. The children learnt about how bees are attracted to Lavender, Thyme and Rosemary. They were able to smell the herbs and discuss why the honey made from the different herbs may have a different taste. After the children had learnt new facts about bees, they created poems using alliteration and onomatopoeia. Here is Anthony's poems.